Toot and Come-Inn: Cannabis Seeds and Finnegans Wake, and dogs, you dig? — Is that answers? — It am queery! — The house was Toot and Come-Inn by the bridge called Tiltass, but are you solarly salemly sure, beyond the shatter of the canicular year? Nascitur ordo seculi numfit. — Siriusly and selenely sure behind the shutter. Securius indicat umbris tellurem. –James Joyce, Finnegans Wake, pages 512-513.
silktrick twomesh from Shop-Sowry, seedsmanchap.—221. Lenfant he is dummed. (Hearts of Oak, may ye root to piece! — 545.
rereway because the male entail partially eclipses the femecovert. Look what I found! A lintil pea. And look at here! Quoted from Finnegans Wake, James Joyce, 1939. “About dogs I will write elsewhere; here I will say only that no matter how much mechanistic biology I read, no dog who ever lived as a guest in my house ever seemed like a machine to me. They all seemed like four-legged people.Every LSD voyager has his or her own unique reports to offer; here I offer only my own recollections of my own experiences, expressed in my own favorite metaphors.After my first LSD voyage, dogs not only seemed even less like machines than before, but so did bugs and trees and birds and the starry sky itself. After my 100th trip, even I seemed less like a machine.I have not embraced pantheism or even panpsychism as a philosophy; rather, I have given up on philosophies entirely. I live amid wonders, which I file under the law of general semantics which states that no map can ever show “all” the territory. In fact, I think we should ban the word “all” from ordinary speech and restrict it solely to pure mathematics.–Robert Anton Wilson, LSD, Dogs and Me. 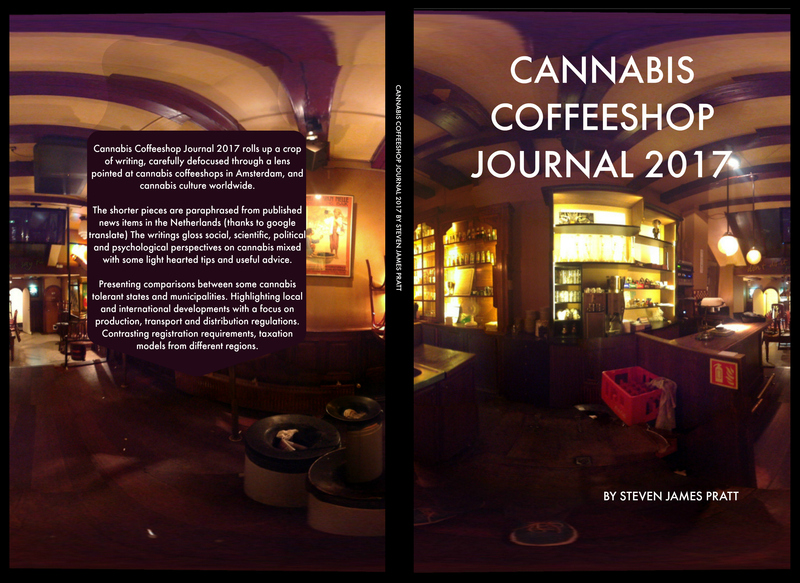 This entry was posted in cosmic trigger, Dogs, finnegans wake, James Joyce, Perception, Robert Anton Wilson, Sirius, stevefly, the tale of the tribe and tagged Amsterdam, books, cannabis, Coffeeshops, James Joyce, John sinclair, Robert Anton Wilson, steve fly, weed. Bookmark the permalink.